From a time much before the proliferation of modern ice creams and stone creations, these hand churned ice creams had made a name for themselves in Hyderabad. 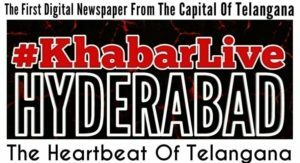 Moving away from the slick ice cream parlours, #KhabarLive discovers the local, hand made ice cream flavours of Hyderabad. Managing a busy parking lot on a hot summer day can be a tiresome task. But Mohammad S looks forward to his ice cream break of the day, when he manages to get some respite. The Famous ice cream near the Mozamjahi market is his regular haunt. In between his shifts he manages to enjoy mango or anjeer flavoured ice creams. “It helps me cool down otherwise it’s difficult to continuously work in this heat,” he says. 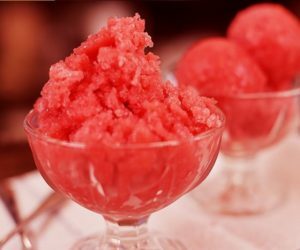 In fact, there are a row of ice creams shops like Shah, Gafoor ice cream that line the road, apart from Famous ice cream which is indeed quite famous and a popular landmark in the city. Away from the slick ice cream parlours and gelato kiosks, Hyderabad has quite a few local ice cream shops which dish out their trademark ice creams and boast of having natural flavours. “Ours is a 55-year-old shop,” informs Mohammad Mohiuddin who has been working in the Famous ice shop for 15 years. 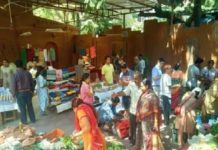 “Our USP is we make hand made fresh ice creams and the ones with seasonal fruits like mango and chikoo are quite popular among our customers,” he says. With chairs haphazardly strewn around under a tented shelter in front of the ice cream counter, these ice creams shops are fuss free. In one corner is a huge machine that is used to make the ice creams; it takes approximately half an hour to make one batch of ice creams. “The prices of the ice creams start from Rs. 10 and goas high as Rs. 50. It is not an exclusive product here, everybody can enjoy ice creams,” points out Sheikh Mehmood from Mahbubnagar who makes it a point to enjoy the ice creams whenever he is in the city. Even the afternoon sun doesn’t deter some of the customers from enjoying the fruit salad ice cream. Many prefer to sit inside their autos while relishing their ice creams. A little away from Famous is Bilal ice cream shop which stands out with its well done and bright décor and a chaat counter. 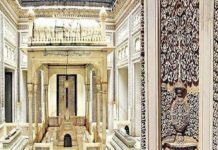 “This is an old building which belonged to the last Nizam. The other ice creams shops are very old and we are relatively new that’s why the idea was to offer something more to the customers other than ice creams, in terms ambience and food,” explains Maqsood Ahmed Afsar, the manager of the shop. Old black and white pictures of the city adorn the walls of the shop, stone walls, high ceiling and big chandeliers add an old charm to the place. A B.com student, Farhan has found a comfortable part time job in the ice cream shop. Apart from occasionally enjoying his favourite anjeer ice cream, he also has the pleasure of entertaining his friends in the shop. “In the evening the place is packed with people. We close only around 12 in the night,” he says. A little away from this part of the city, tucked away in a narrow lane of Sindhi colony is another ice cream haunt, Sri Radhe. If you judge the place by its name, then you will certainly miss the creamy, natural flavoured ice creams. “Ours are completely natural ice creams. Ice creams made out of custard apple, black plums or chappan bhog are extremely popular among our customers,” says Ajay Mehta the manager of the shop. They have another outlet in Abids. So this summer, maybe its time to move away from Bavarian chocolates or choco rocco and explore the local ice cream flavours. You will be surprised with what the city has to offer. Moazzam Jahi market is a major landmark at Nampally. The market, named after Prince Moazzam Jah, the second son of the last Nizam, was constructed around 80 years ago using granite stones and has a clock tower to boot. MJ market as it is known colloquially has many shops now, but most well-known among these are the old ice cream outlets, serving hand churned seasonal fruit ice creams loved by one and all. From a time much before the proliferation of modern ice creams and stone creations, these hand churned ice creams had made a name for themselves in Hyderabad. In 1951, Mohammed Haleem set up an ice cream shop at MJ Market known as Famous Ice Cream, which really caught the fancy of Hyderabadis for offering fruit ice creams at affordable rates. Over a period of time, MJ Market has become the preferred location for asli Hyderabadi ice creams with around four different shops having their own loyal fan following. Any old resident of Hyderabad will vouch for one of these shops for their favourite ice creams, which have no colour or preservatives added to them. The open space next to the market is lined up with plastic chairs, and always has a motley crowd enjoying these desserts. 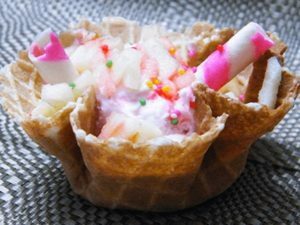 The handmade ice creams are prepared using fresh fruit pulp, along with milk and sugar. Mango, litchi, sapota, custard apple, fig and muskmelon are some of the seasonal fruits which provide a touch of variety during different parts of the year. Unlike the modern ice creams, the variety from MJ Market lacks a little creaminess. However, they retain the original fruit flavours very well and given their value-for-money pricing emerge as clear winners. Apart from Famous, the other three places who are sought-after are Bilal, Gafoor, and Shah. The ice creams, which are also known locally as pot ice creams, are usually prepared in the shops itself and has pricing as low as `35. 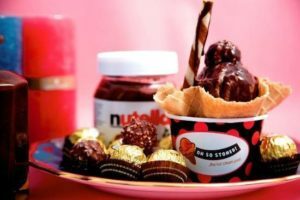 Over a period of time, with competition from many modern ice cream parlours in the city, as well as national ice cream brands launched in Hyderabad, some of the shops have started offering sundaes and frozen desserts too. Production of the ice creams has also become mechanized with use of a motor for churning. Some of the products even come from factories set up by these shops away from their location. Inexplicably, none of them have yet set up shop in the cash-rich Cyberabad. 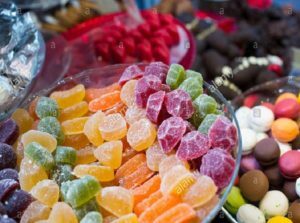 However, people throng here still to get the old world charm of the place and enjoy the traditional fruit ice creams, especially during summer and the holy month of Ramzan. From Gelatos to Sorbets, you know the city serves some of the best ice creams when you see all the ice cream joints jam packed (pun intended). The names of sundaes are so quirky that you often wonder if the ice creams here are famous for the names or their taste. Ice Cream Fingers, Willy Wonka, Nuts about Nuts are common names you’d find in a menu. With joints that deliver ice cream to your doorstep even at odd hours, Hyderabad is the perfect place for people who have frequent midnight-ice-cream craves. 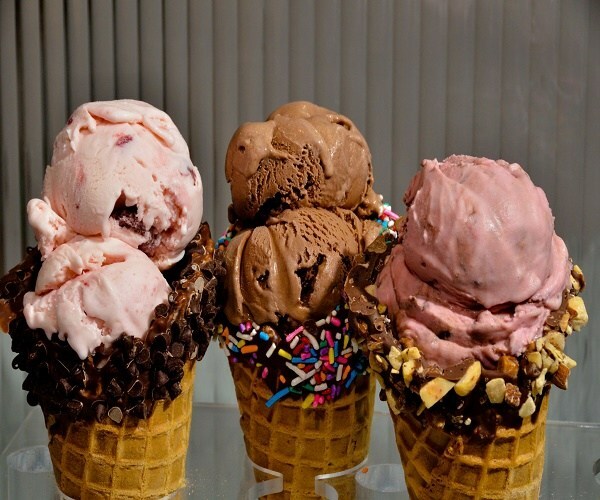 Having an ice cream does not really have a season and you tend to have it more during a long rainy day. It feels great even if its on the roadside but today the crowd goes exclusively to get a cup or cone of ice cream because ice cream parlours are becoming a fad now, where you get a variety of flavours and topping and one scoop is just not enough. A good ambience, watching the ice cream makers make the ice cream rolls over the liquid nitrogen plates, getting the goody topped cone in the hands, is a pleasure! Ice Kraft does it to perfection! Apart from their delicious ice creams and sundaes…. grab some waffles, fries or salad too! Dr. Ice Cream is a delightful place, themed in congruence with a doctor’s clinic, it is quirky in its presentations and interiors, with syringes, wheelchairs and stretchers posing as seating. 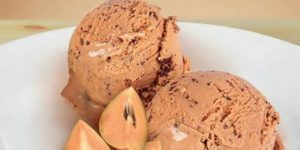 The ice-cream parlour presents one with an extensive range of ice-cold delights in a myriad of flavours to choose from. 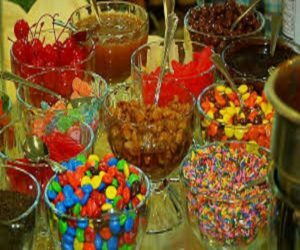 The menu is categorized into Regular Flavours, Special Flavours, Real Fruit Ice-creams, Sorbet, Special Faluda, Stick Kulfi, Cassatta, Stone Sundae, Ice-cream Cakes, Fruit Cream, Italian Gelato, Sundaes, Ice-cream Sodas, Shakes, Special Shakes, Real Fruit Shakes and Diet and Lite Shakes. 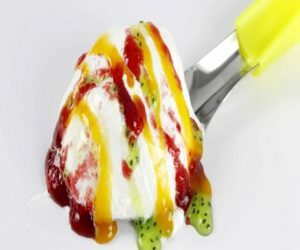 Its similar to the concept from the US (they have Cold Stone), where you choose your flavours and toppings where they will thump them together, giving it nice creamy flavour of everything. The best part about it, is that it offers fresh seasonal fruits. Last I ordered was seetaphal and it has the most yummylicious thing in the world. And the Alphonso mango flavour is oje of the best in Hyderabad. The serving is quite large (for the price you pay). Altogether a great treat for the sweet-tooth. The café, a new concept now in India, is a neat little place where you can get whatever your heart wants. 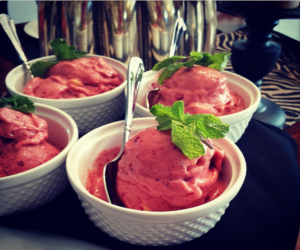 You can come with friends and your family and spend a leisure time tasting your icecreams. 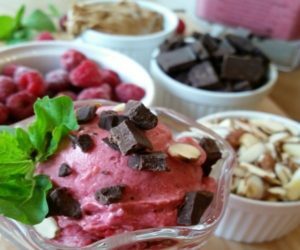 You can find a range of ice creams that ranges from mango, strawberry to chocolate. In fact you have an elaborate rang of chocolate ice creams here. Also try the ice cream shakes and ice cream soda with mixed flavours that will remain on your tongue for a long time. It does sound like an alien term but what you get in there is exactly an ice cream lover’s dream. So this is how the process goes, you choose your flavours, the topping (which has delicious salted almond nuts, chashew nuts, gummy bears, gems, chocolate sticks, chocolate fudge, chocolate sauce, blueberry sauces, strawberry sauces and so on), then they weigh the cup you have purchased and bill you accordingly. They have no concept of a cone. They do make a mean cup of ice cream cakes too. What is compared to Baskins Robins? Nothing. It been in India for a long time now and the best part about it is that you always find the flavour you loved. I think I have had banana strawberry for more than a decade now (with chocolate hot fudge). They make fresh cones and you can actually get a whiff of the waffles in the air, as you enter the parlour. You don’t have a place to sit so its not exactly a place to chill out but it does give you an excellent quality of ice cream. True to its name, the ice cream offered here are all fresh with seasonal fruits and you can actually find bits and pieces of your flavour choosen. I actually found mango, muskmelon, water melon, coconut with such similar taste that it felt as if you are the actually eating a fruit which is frozen. It does have a nice little place to sit where you can enjoy a quiet time with yourself. The cold stone ice cream is the most wanted thing these days and there are umpteen number of places that serve it. It’s intriguing to see the whole mixing process on the counter with the flavors of your choice! Give a treat to your taste buds by trying out the various flavors they have to offer. Next articleDoes Rural India Have Enough Water To Sustain Open-Defecation Free Status?